According to the court filing released late Monday, Comey’s memos contained classified information (contrary to Comey’s claims), including the name [redacted] of the confidential source the FBI used against Trump. 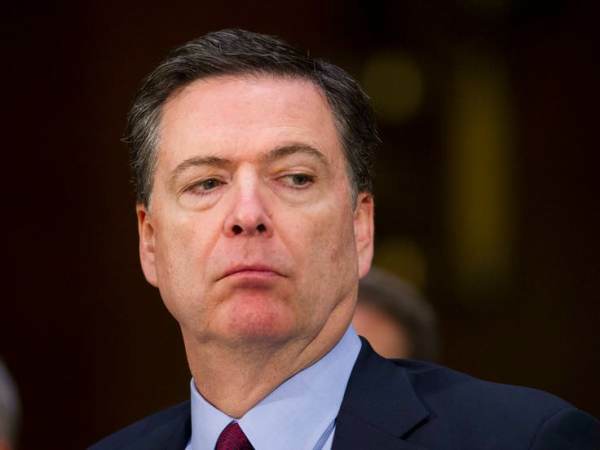 The documents also suggest then-FBI Director James Comey began his coup against President Trump because he didn’t like his foreign-policy decisionmaking. A couple weeks ago, US District Judge James Boasberg in Washington ordered the FBI to turn over Comey’s ‘Trump memos’ — both clean and redacted versions by April 1st as he weighed releasing them to the public. The FBI previously pushed back on March 1st and wrote to Judge Boasberg, an Obama appointee, saying that the memos were still redacted and classified and should remain under seal to avoid interfering with Mueller’s inquisition — Mueller’s witch hunt ended a few weeks ago so the judge asked the FBI to file an opinion about the release of Comey’s memos. David Archey, the lead FBI investigator for Mueller’s witch hunt told the court that since the special counsel investigation has concluded, portions of Comey’s memos can be released — David Archey informed the court that material from Comey’s memos will continue to remain under seal and redacted. The FBI will file a further declaration on or before April 15, 2019, to explain why the remaining redactions to the Third Archey Declaration continue to be necessary. Then-FBI Director James Comey personally signed off on THREE FISA applications to spy on Trump campaign advisor Carter Page — one of the FISA warrants Comey signed off on was after he met with President-elect Trump on January 6th, 2017 (at Trump Tower), with the intent of putting the incoming administration under a cloud of suspicion with an investigation and criminal leaks to the media. President Trump fired Comey as FBI Director on May 9th, 2017 and Comey immediately went into overdrive to launch a special counsel probe into the president as revenge. Within 24 hours of the memo leak to the New York Times, Mueller was appointed as special counsel on May 17th, 2017 — when exactly did Comey share his memos with Robert Mueller? Now it is confirmed that Comey was a witness in Mueller’s probe… Did Mueller give his buddy Comey immunity? You can read the full court filing about Comey’s memos here.